On almost a daily basis I receive questions and requests from firefighters across the fire service regarding high-rise operations and equipment. This is long overdue, but from time to time, I will now start providing information and posts regarding some of these equipment items and resources. I hope that this information will be beneficial for my fellow firefighters out there who are working to enhance operations in your corner of the fire service. Keep in mind, I am not the marketing director for any of the companies that build and provide tools or equipment that I recommend. However, when a valuable piece of equipment is identified, and I have had the opportunity to use it and verify it’s operational value, I will share that information with you. 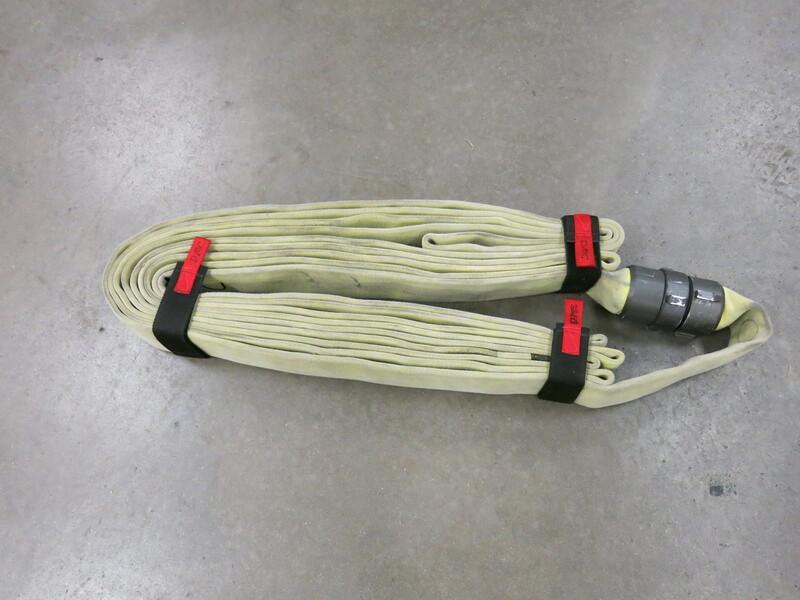 Many years ago, in approximately 1992, we were in search of a hosepack strap to utilize with our 2 ½-inch high-rise / standpipe hose packs on the Denver Fire Department (DFD). At the time we were using anything we could find, including seatbelts from old cars, rope, bungee cords, duct tape, etc. None of these were good options. We needed a better, more effective tool and method to hold the hosepacks together. Ideally we needed something that was lightweight and didn’t contribute significant weight to the hosepack. We needed something that was durable and would last. We needed something that would not come undone during transport, such as a seat beat buckle when it struck a doorjamb, etc. We needed something that would hold the hosepack together, tightly. And we needed something that would be reasonably priced. We eventually designed a strap and a company out of Oklahoma built and sold the straps to us. These original straps worked OK, but they did have some deficiencies. Specifically, these straps were built with a very weak, plastic component (ring) that would eventually break when the hosepack was being tightened. Furthermore, the cost of the hosepack strap continued to increase, to the point that we needed to make a change. Little did I know, there was an answer right in my own department. It was brought to my attention, that a firefighter on the DFD had the ability to build a hosepack strap based on the same design, but one with a stronger metal ring, and a much better and more reasonable price. So, that brings us to where we are today, in a much better place. Let me introduce Firefighter Brian Jenkinson, who is a Veteran Professional Firefighter on the DFD, assigned to Rescue Co. 1. Brian is a very talented guy, and a very hard worker. Brian and his wife own and operate a company called Turning Out Solutions. Whatever you might happen to need, with regard to logistics for your emergency operations, Brian can probably design and build it for you. For our purposes here, we are taking about the 24-inch, Red Tap Hosepack Strap, designed for use with 2 ½-inch, High-Rise / Standpipe Hosepacks. 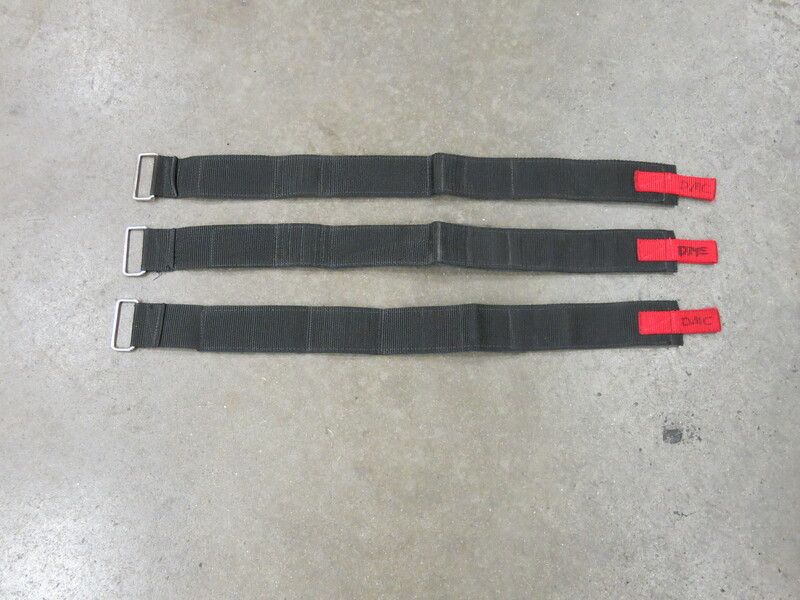 These are three of the recommended, 24-inch, Red Tab, Velcro Hosepack Straps for use with the Denver Hosepack. A Denver Hosepack being tightly held together by three, 24-inch, Red Tab, Velcro Hosepack Straps. You can contact Brian at turningoutsolutions@comcast.net for specific information about products, prices, delivery, etc. So, there you have it, a resource and option for you regarding what I consider to be the very best hosepack strap in our industry. I hope this information is helpful. Stay low. DMc. Is Brian still making these straps? I sent an email about 2 weeks ago and haven’t heard back.